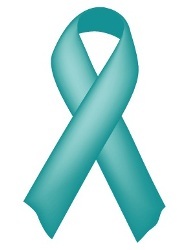 "More than 1,200 Australian women are affected by ovarian cancer each year and the survival rates are quite poor." Mystery and a lack of understanding surrounds ovarian cancer, but a team from the Queensland Institute of Medical Research (QIMR) will soon commence a study to better understand this devastating disease. Dr Penny Webb from QIMR’s Gynaecological Cancer Group has been awarded a National Health and Medical Research Council (NHMRC) project grant worth over $1.7 million to conduct the first comprehensive study of lifestyle factors that might improve survival for women with ovarian cancer. "More than 1,200 Australian women are affected by ovarian cancer each year and the survival rates are quite poor,"Dr Webb said. "With only 40% of women diagnosed with ovarian cancer surviving more than five years, there is a lack of knowledge around what life-style factors influence the outcomes for those battling this type of cancer. "From April 2012, my team and I will be carrying out the Ovarian Cancer Prognosis And Lifestyle (OPAL) study by interviewing up to 1200 women who have been diagnosed with ovarian cancer, with the aim of better understanding lifestyle influences on survival and quality of life. "By undertaking the OPAL study we ultimately hope to be able to give women reliable advice, for the first time, regarding lifestyle changes that might improve their chances of beating this devastating disease. The OPAL study builds on QIMR’s strong involvement with ovarian cancer, including the recently conducted Australian Ovarian Cancer Study (ACOS), which looked at the diagnosis experience of over 1,500 women. 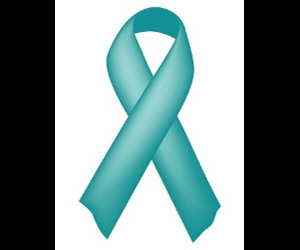 "Ovarian cancer is often referred to as the silent killer, because the symptoms can be very common and up to 75% of women diagnosed are in the later stages of the disease. "With so many unknowns about ovarian cancer, carrying out studies such as OPAL are essential in increasing our knowledge and will hopefully lead us to improved prevention, diagnosis and treatment of this cancer in the future."